A few days ago, Capcom announced some specifics regarding the latest iteration of Resident Evil: Revelations for the Wii U. The game will feature use of the Gamepad by transforming it into a map and weapon inventory for the player. Revelations will also integrate with Miiverse. Players will have the ability to post messages and tips for other players on how to overcome obstacles in their path. 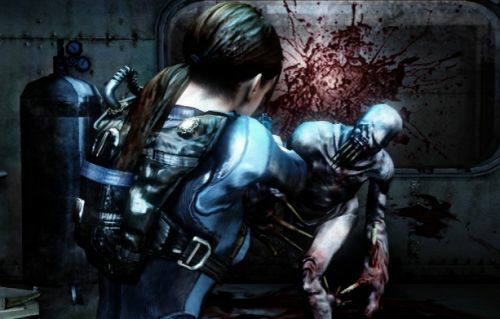 The game will be fully playable on the GamePad by way of off-screen play on the Wii U. Capcom also announced that all versions of Resident Evil: Revelations will come with the ability to play as Rachel in Raid Mode. Rachel will round out the cast with the previously announced Hunk character. Both of the characters will be playable at the upcoming PAX East. Finally, Capcom mentioned two new enemies that will be included in the game: the Wall Blister and an unknown creature. 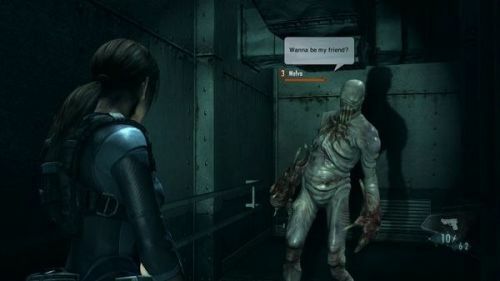 Resident Evil: Revelations is an upgraded port of the original 3DS title. It will release on Wii U, Xbox 360, PS3, and PC on May 21, 2013. The game will feature two player online cooperative action in addition to two player LAN play. Page created in 0.5590 seconds.